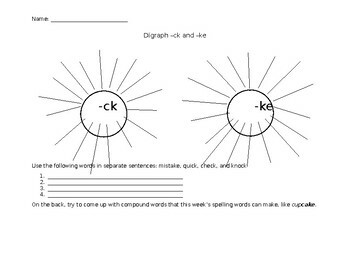 Students can use this graphic organizer to help them list as many -ck and -ke digraphs as they can. This graphic organizer is great to use during Word Work for 1st and 2nd graders. There is also a compound word challenge for them to try, too.